My research interests are in the tectonic and climatic evolution of sedimentary basins and related mountain belts. Large mountain belts have a significant impact on global climate and geochemical budgets. Sedimentary basins develop through a complex interplay of tectonics and climate that is recorded by the sedimentary basin fill. I combine sedimentology and stratigraphy, stable and radiogenic isotope geochemistry, and map-scale structural geology to address questions related to growth and unroofing of mountain belts and their elevation/climate histories. One of my current research interests is the surface uplift history and paleoclimate of the Tibetan plateau as recorded in sedimentary basins within and along the margins of the plateau. Fieldwork efforts in Tibet are aimed at reconstructing paleogeography and tectonic evolution from sedimentology, stratigraphy, and geochemistry. Our group has employed O isotopes and clumped isotopes in studies of paleoelevation and paleoclimate and C isotopes to determine paleo-vegetal cover in the Himalaya and Tibetan plateau. 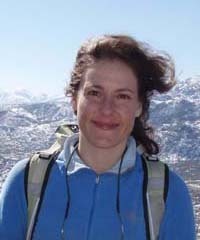 Our current focus (work of Postdoctoral Research Associate, Alex Pullen, Ph.D. student, Li Lin and collaborative work with Greg Hoke at Syracuse) is the surface uplift, tectonic history, and associated climate change preserved in sedimentary basins in northern Tibet, southeastern Tibet and along Tibet's northern margin. Examination of the relationship between modern topography and atmospheric circulation patterns in Tibet will enable us to link our understanding of the deformation history of Tibet to environmental changes observed in the sedimentary record. As a compliment to the geologic records that we are generating in Tibet, we are characterizing the isotopic composition of surface waters and rainfall across a wide range of settings within and surrounding the Tibetan plateau to better understand the primary processes that fractionate stable isotopes in atmospheric water in this region. I am also working in the central Andes (Peru and Bolivia) to document the elevation history and the tectonic evolution of the Altiplano basin to understand the geodynamic processes responsible for surface uplift of the Andean plateau. In the northern Altiplano of Bolivia, O isotopes and '13C-18O clumped isotopes' from carbonates in the Corque basin indicate that rapid surface uplift, on the order of ~2 or more km, occurred between ~10 and 6 Ma, raising the Altiplano to its current elevation. Both the magnitude and short duration of this uplift event suggest that removal of dense lower crust and mantle lithosphere below the Andean plateau caused late Miocene surface uplift. This surface uplift coincides with a slow-down in the convergence rate over the subduction zone to the west as well as the propagation of deformation into the eastern lowlands, perhaps related to the increased force applied by the elevated Andean plateau to the surrounding lowlands. We are currently extending paleoelevation and paleoclimate studies of the Andes to the lowland Subandes, southern Altiplano in Bolivia and northern Altiplano in Peru (work of Ph.D. student, Nandini Kar) to evaluate spatial and temporal variations in surface uplift of the plateau. There are opportunities for graduate student research in South America and Asia, Please contact me (carmala.garzione@rochester.edu) for further information. Bershaw, J., Penny, S.M., and Garzione, C.N., 2012, Stable isotopes of modern water across the Himalaya and Tibetan Plateau: Implications for estimates of paleoelevation and paleoclimate, Journal of Geophysical Research, Atmospheres, doi:10.1029/2011JD016132. Bershaw, J., Garzione, C.N., Schoenbohm, L., Gehrels, G., and Li Tao, 2012, Cenozoic evolution of the Pamir plateau based on stratigraphy, zircon provenance, and stable isotopes of foreland basin sediments at Oytag (Wuyitake) in the Tarim Basin (west China): Journal of Asian Earth Sciences, v. 44, p. 136-148. Pullen, A., Kapp, P., McAllister, A., Hong Chang, Gehrels, G.E., Garzione, C.N., Heermance, R., and Lin Ding, 2011, Qaidam Basin and northern Tibetan Plateau as dust sources for the Chinese Loess Plateau and paleoclimate implications: Geology, v. 39, P. 1031-1034, doi:10.1130/G32296.1. Hough, B., Garzione, C.N., Zhicai Wang, Lease, R.O., Burbank, D.W. and Yuan Daoyang, 2011, Stable isotope evidence for topographic growth and basin segmentation: Implications for the evolution of the NE Tibetan plateau: Geological Society of America Bulletin, v. 123, p. 168-185, doi: 10.1130/B30090.1. Hoke, G.D., Garzione, C.N., Araneo, D.C., Latorre, C., Strecker, M.R. and Williams, K.J., 2009, The stable isotope altimeter: Do Quaternary pedogenic carbonates predict modern elevations? : Geology v. 37, p. 1015-1018. Hoke G.D., and Garzione, C.N., 2008, Paleoelevation and Geomorphic Constraints on the late Miocene rise of the Andes: Earth and Planetary Science Letters, v.271, p. 192-201. Garzione, C.N., Hoke, G.D., Libarkin, J.C., Withers, S., MacFadden, B.J., Eiler, J.M., Ghosh, P., Mulch, A., 2008, Rise of the Andes: Science, v. 320, p. 1304-1307. Rowley, D.B. and Garzione, C.N., 2007, Stable isotope-based paleoaltimetry: Annual Review of Earth and Planetary Sciences, v. 35, p. 463-508. Garzione, C.N., Molnar, P., Libarkin, J.C., MacFadden, B., 2006, Rapid late Miocene rise of the Andean plateau: evidence for removal of mantle lithosphere: Earth and Planetary Science Letters, v. 241, p. 543-556. Ghosh, P., Garzione, C.N., and Eiler, J., 2006, Paleothermometry of Altiplano paleosols: Implications for Late Miocene surface uplift of the Andean plateau: Science, v. 311, p. 511-515. If you are interested in learning more about these or other potential opportunities, please contact me atcarmala.garzione@rochester.edu.